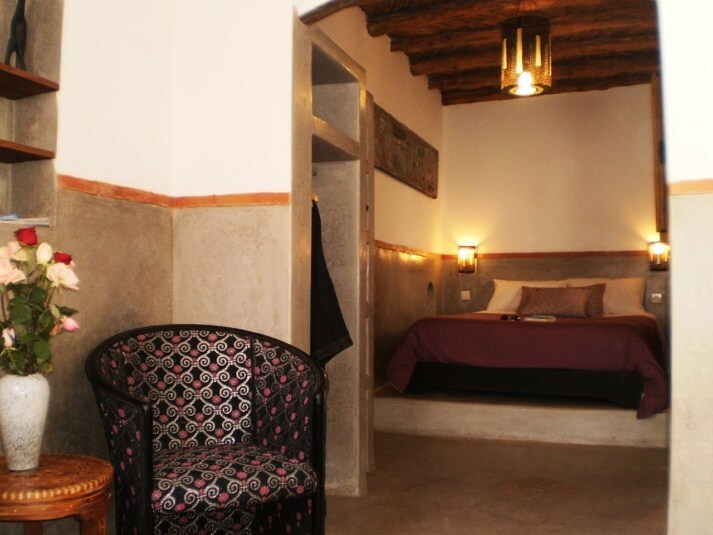 Our intimate riad (Morocco traditional home) has been lovingly renovated using traditional materials and techniques. Beijmats tiles, tadelakt walls provide classic Moroccan style with a hint of contemporary design. Every piece of furniture was made by local craftsmen or bought at the flea market and renovated by us. We have 4 charming and very confortable guest rooms (each of them with bathroom and toilets) as well as a quiet sunny roof terrace and a cosy lounge where you can enjoy a glass of mint tea or warm up during the colder season. Our riad Dar Darek provides 2 vacation options : stay with us on a bed and breakfast basis or private riad rental with housekeeper services. We can accomodate 8 people. On the ground floor is the covered traditionel courtyard (patio), the lounge and the kitchen. On first and second floors are the bedrooms (2 double suites and 2 twin bedrooms). Dar Darek is located in the heart of the ancient walled city and only 5 minutes walking from the beach. 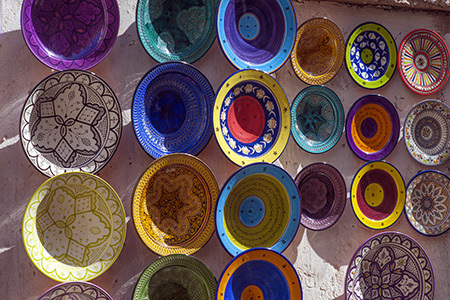 The various markets (souks) and restaurants are a few steps away from our riad. 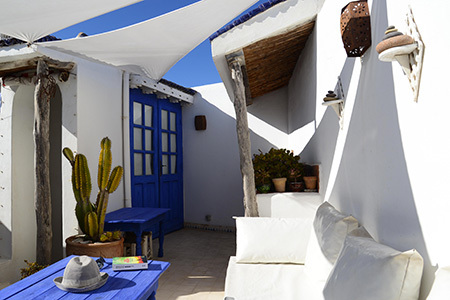 Our riad is located in a typical quarter of the ancient medina, surrounded by tiny grocery shops, kind of ali baba caverns, crafmen workshops, barbershops, hamman… you will experiment a true taste of Moroccan life. 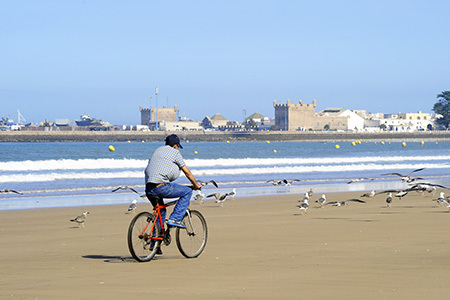 The immense fine sand beach of Essaouira is only 5 minutes walking from the riad. 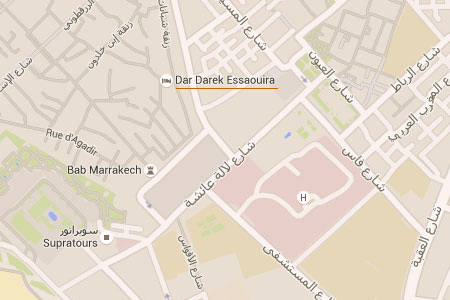 Dar darek is located 2 minutes walk from a main entrance gate of the medina and its watched car park and 5 minutes walk from the Supratours bus Station. A city map with directions will be sent to you. The ancient walled medina is closed to cars.